← It’s Awards Time Again! Over on Where’s my backpack?, Ailsa has posted this week’s theme for her Travel Photo Challenge: Oceans. To my surprise, I find that I don’t have too many photos that really fit the theme. Yes, I have endless photos that show water that technically belongs to an ocean, but that isn’t the same thing. This, once more, was at Glover’s Reef Atoll, Belize, with Slickrock Adventures. Technically on a mere sea, not an ocean, but connected, ultimately, to all of them… More photos are here. 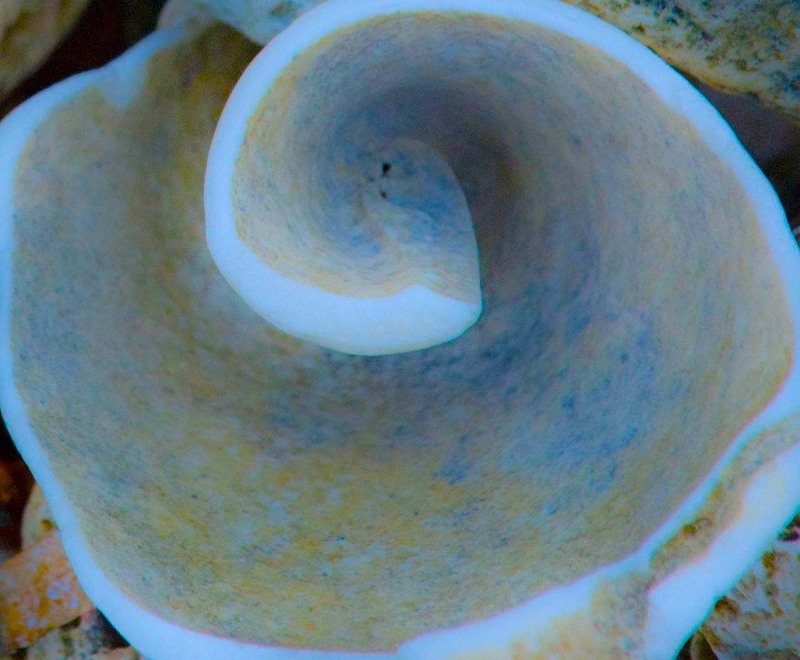 This entry was posted in Nature, Photography and tagged Belize, Glover's Reef Atoll, Ocean, Photography, postaday, postaweek, postaweek2012, Sea Shells, Travel, Weekly Photo Challenge. Bookmark the permalink. Wonderful shots of the sea! Amazing! Love the tiny crab. And we are so happy you do! Beautiful patterns and shapes in these images! Really beautiful, Vlad, I’ve never seen a coral reef, but your photos make me want to head to Belize now. I just went through your trip photos, looks like you all had an incredible vacation! These are great – the colors are wonderful! Thanks! Absolutely gorgeous! The little crab is such a beauty and the spiral of the broken shell just draws the eye. Thanks for providing such great content! 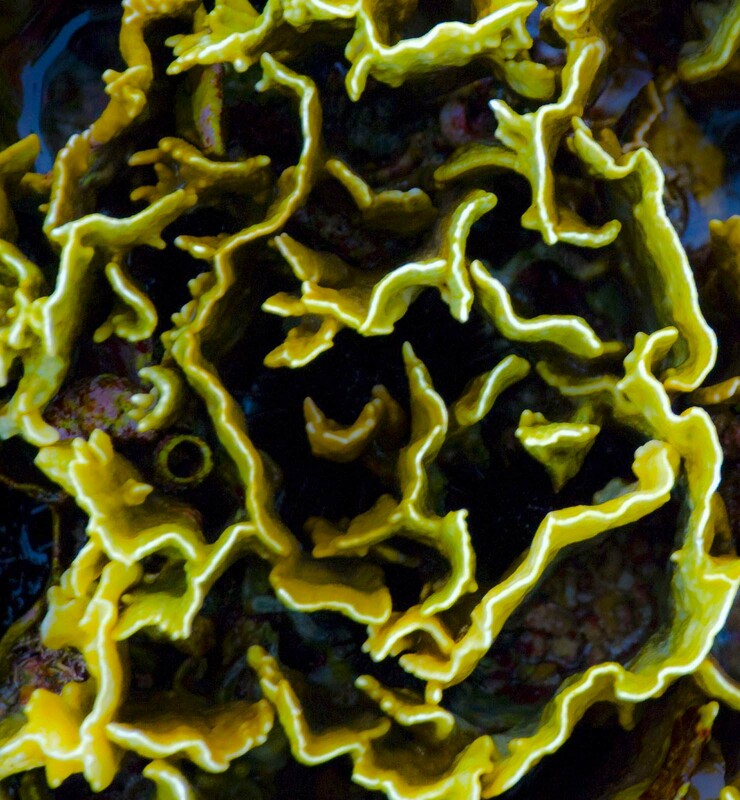 Exquisite photos – reminding us of the varied life that lives in our seas and oceans! Amazing! 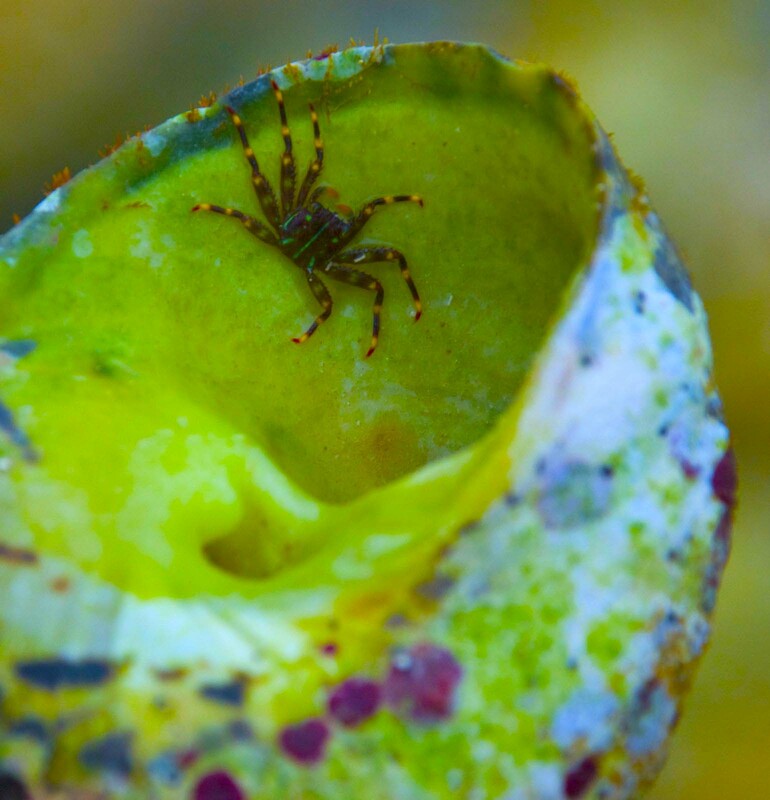 I just love the photo of the little crab in the seashell!